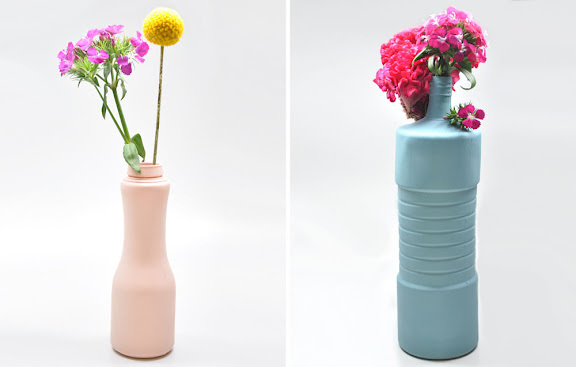 Colorful vessels and vases made from repurposed bottles, available at Leif. These are too cute. I love the colors of them. 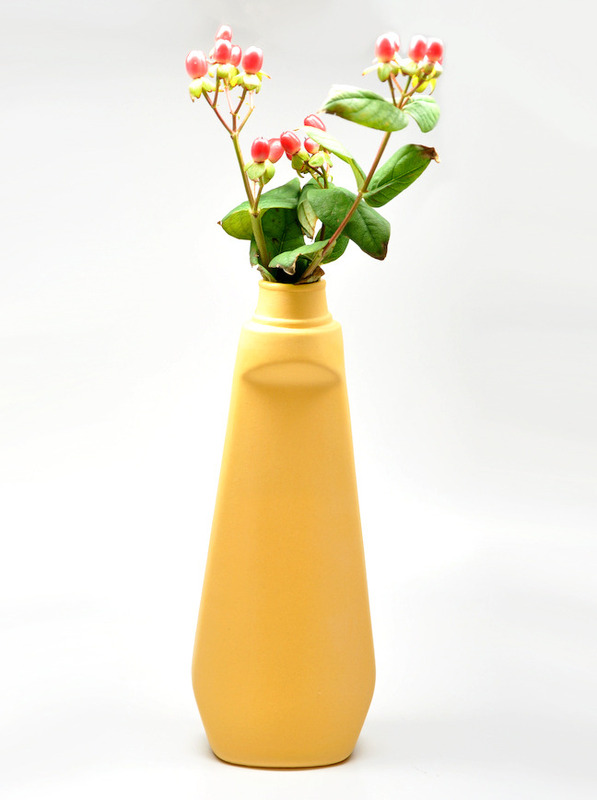 My blooms are currently in a jar, but a bottle sounds fantastic. What about an old Saint Germain bottle painted? That would be INCREDIBLE. Lovey flowers. In my opinion, flowers are one reason how we could live on in this world, because those always blossom, no matter how bad the wind and storm was.